The Maldron Hotel Tallaght is a newly opened modern and stylish hotel in the heart of South Dublin. During your stay enjoy our Gym & 20m pool in luxurious and comfortable environment. Any booking paid for with Cash will be subject to â‚¬100.00 deposit and full amount for the room. Photo ID is required and the deposit will be returned on checkout. Maldron Hotel Tallaght is a non-smoking hotel. There are designated smoking areas outside and smoking in bedrooms is not permitted. From the city follow signs for the N81 towards Blessington, continue through to Templeogue and on to Tallaght, once you pass the Square Shopping Centre, the hotel is located on the left hand side. Take the next left (sign posted for Ballycullen / Old Bawn) and the entrance to the car park is on your right hand side. 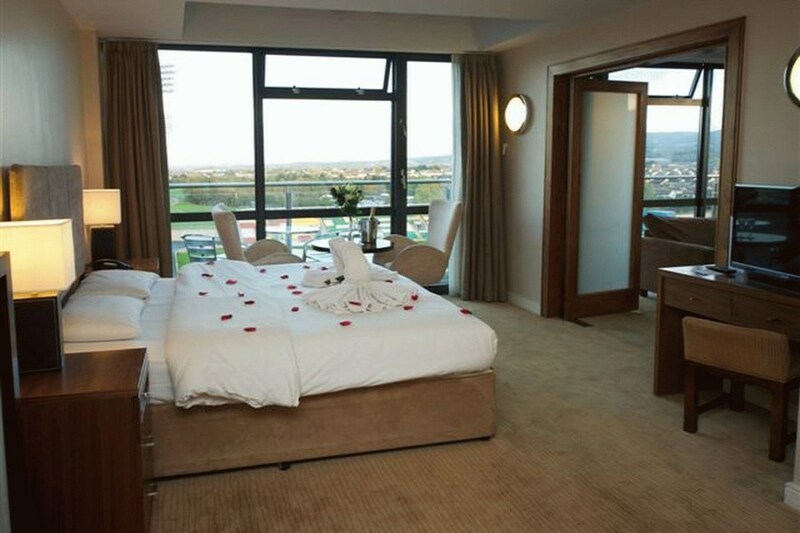 The Hotel is on the red Luas line, offering easy access to the city centre. If you are planning a trip into the city before you head home just leave the car at the hotel, hop on the Luas and be in the city in 30 minutes. Very difficult to find car parking, no signs on the roads outside the hotel to point you in the right direction for the hotel parking so ended up driving around a few times. Bedroom itself felt like it was in a dungeon, dark, depressing and felt unsafe as a lone female with a child on a ground level. I found a pair of men's socks on the floor behind a chair from the previous occupant and the toilet bowl was not clean. I should have returned to the front desk to change the room so that was my own fault but we were anxious to get to the pool and make use of what was left of the day as a check in time of 3.00pm is quite late. The pool could do with a good clean as visible dirt all around the tiles in the pool and steam room was out of order. All the staff we encountered were friendly, attentive and efficient. Food was good and plentiful. I would stay again in a different room. I went to reception and receptionist said I owed more that what was agreed under 3 plus breaks.I had to produce documentation.She had to go to reservations to resolve this.I stayed in a room on the 4th floor.Traffic noise was unbearable on the first night,Didn't get any sleep.I requested a move on the second night.This room was perfect. Food in restaurant was excellent.Breakfast was excellent. Staff were friendly and polite.Swimming pool and Gym were adequate and well worth a visit.No swimming hat policy was not adhered to in the pool on each of my visits???? Firstly, the room was disappointing because the carpet didn't seem to have been cleaned as I noticed small bits of clay on it. There were only two small tubs of milk which I thought was a bit mean. The hairdryer didn't work. As I was only there for a short stay, these things didn't bother me too much (apart from the carpet). The breakfast was fine, but the dining room/lounge could do with an update. I noticed a large broken floor tile which looked like it had been broken for a while and looked as if you could turn your ankle in it. On the plus side, the staff were very nice, helpful and friendly, and the car park was very good and easy to enter and exit. The bathroom was very nice, a good size and very clean. Location very good and easy to get to. We enjoyed our stay at the Hotel everything was excellent from booking in to comfortable room and the food was great. This was our second time in the Hotel and we are looking forward to our next visit. It was great that the Luas and the Shopping Centre was only a few minutes walk which made things even better. Nice clean accomodation, friendly staff... room was nice with a balcony overlooking the stadium.. Convienient parking. Enjoyed my stay.. Only had the breakfast and that was pretty good. Did not have a very satisfactory stay, this struck me as a hotel that is maybe on it's last legs. Checked in with a child after a long day at the Dublin horse show to find we could not open the room door, had to go back down to reception 3 times before someone looked at it, when we entered the room eventually security took the access card and then locked us in the dark room for 10 minutes while changing the batteries on the door. It was a smoking room and smelled really bad so I asked to change rooms and had to make a 4th trip to reception bags and child in tow again. 30 minutes after check in we got into our room. Breakfast was alright but understaffed, no juice, then juice and no glasses and lots of dirty tables with a suited man serving the food? Location was perfect, near the square and luas. Pool a bit grubby with lots of buttons that didn't work. Noisy near the road, also would recommend a phone on each floor corridor to avoid trips to reception when things don't go to plan. How to get into car park was unclear as it looked locked. Very helpful & friendly staff and the room was ideal. Good facilities & clean etc. We were staying at the weekend and the only thing was Breakfast started at 8am. A little late as I was due in the city for 9.15am so I had to make a choice - skip breakfast or be late. Very happy to recommend and would stay there again. V satisfactory stay. Staff helpful and v efficient. Food v good. Comfortable beds and clean room. Enjoyed pool also. Definitely stay again. Not very impressed with the hotel or location. The hotel manager done his best to accommodate us but there wasn't much he could do about the outdated decor or location or entertainment (or lack of). Wow!!! This is a very good comfortable modern hotel. Great accommodation - Fabulous room, free parking and wifi. 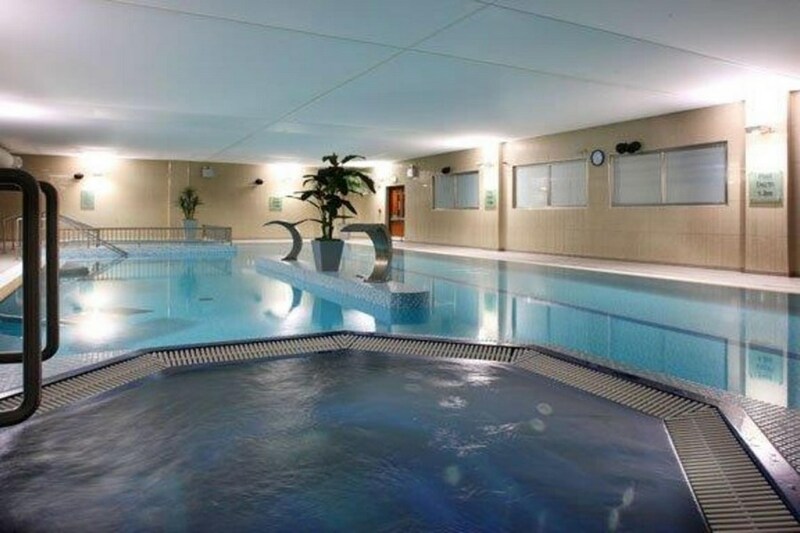 Great leisure facilities - 20metre pool with sauna and steam room. The gym is one of the best Ive ever seen in a hotel. Great Food - Had a fab breakfast and evening meal. Its a short 3 minute walk to the Luas which brings you right to the city centre in 30 minutes. MALDRON HOTEL & LESUIRE TALLAGHT. My friend and myself stayed at this Hotel last Tuesday night (was booked originally for the Garth Brooks concert but we all know what happened there). We decided to go to the Hotel for the night anyway. The staff on arrival were very friendly and helpful and all members of staff that I dealt with during our stay were really lovely. The Leisure center was really nice (did find it a bit awkward that the reception is on a separate floor), otherwise was lovely. I had asked to be put in a quiet part of the hotel and we were. I had a great nights sleep in a very large double room with a huge bathroom, everything was clean and fresh, some of the furniture was a bit dated but that would not bother me. Breakfast the next morning was lovely, plenty of choice and everything was very fresh. So close to the Lewis line, bus stops, Tallagh shopping center, ATM's Cinema, you could not ask for more. I would recommend this hotel to anyone and would love to stay there again. Great Hotel. Staff are very pleasant. Good Food. Clean rooms all the time. The location and parking of the hotel was perfect as were the staff. The breakfast left a lot be desired, juice was very watery, no cutlery or glasses and no saucers for your cup of tea or coffee. Breakfast itself was quite poor as well. excellent in every aspects. def will be back! 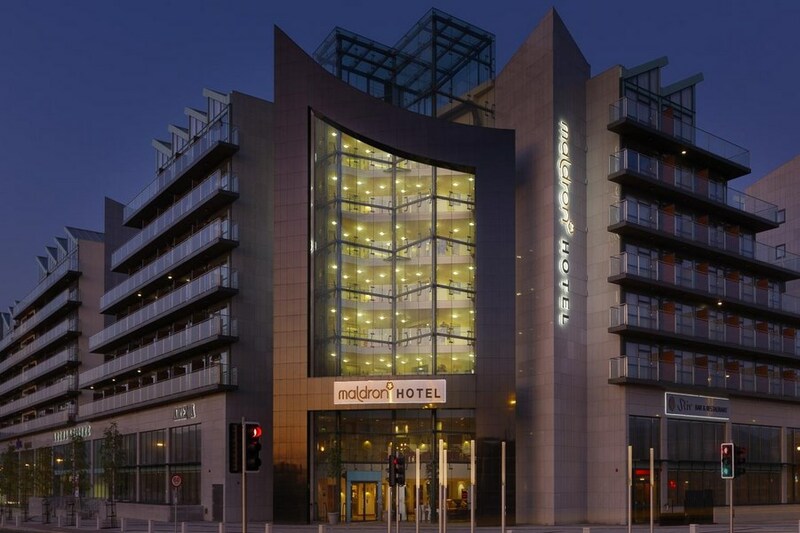 We enjoyed our stay in the Maldron Tallaght for its convenience to the Luas and The Square Shopping Centre. The staff were all very friendly and helpful. Our room was adequate for our needs. The only fault was that the service at dinner was extremely poor and resulted in prolonged delays between courses this occured on each night of our 3 night stay. Other than that everything was satisfactory. My friend and I stayed at the Maldron Hotel for just 1 night. We enjoyed our stay in a nice room with balcony, just a short walk from the Square and the luas, free parking and good food, enjoyed the leisure center too. We will be back for another longer stay. Well done to all the staff of the Maldron. Excellent hotel. first class service. room was lovely very clean..food very good..overall a lovely experience. They allowed us to leave car in car park for the day while we went into Dublin (even though we'd checked out) will be booking another visit in 4 weeks. My special request for a room in quiet location was very well met and meant a lot. Very much appreciated. Room itself very comfortable. Staff very willing and helpful. Hotel in a great location. Comforting to know car was safe in underground car park. Will definitely use this hotel again. One star for each point so five stars! Hotel is very clean. Food is over priced. The check in was terrible. Check out was no better. Stay was very nice, very handy to Luas line, less than a 5 minute walk, also to the civic theatre, the square shoppng centre. Very clean, very helpful staff, food good, breakfast excellent. The restaurant is really in the bar area but it suited us fine. Would definitely stay here again. On arrival the staff were very welcoming and helpful. The roon was just whtat we needed. The facilites were great. Overall we had a great stay and i would recommend this hotle to anyone.